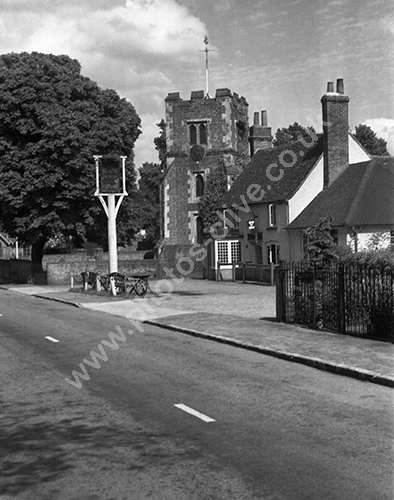 The Black Horse in Windmill Lane in Fulmer, Buckinghamshire in the 1950s (dated by eBay seller) In the background is St James Church. For commercial use of this photo, including use on another website, please visit Alamy.com and search for M5JJC3. For a one-off print please see below.